Aspen Mays was born in 1980 in Asheville, North Carolina and received her MFA in Photography from the School of the Art Institute of Chicago in 2009. She has had solo exhibitions of her work Higher Pictures in New York and the Museum of Contemporary Art in Chicago. Her work has also been included in exhibitions at the Crystal Bridges Museum of American Art and the Columbus Museum of Art. Mays was a 2009-2010 Fulbright Fellow in Santiago, Chile, where she spent time with astrophysicists using the world’s most advanced telescopes to look at the sky. She is currently Assistant Professor at California College of the Arts. Mays lives and works in the San Francisco Bay Area. 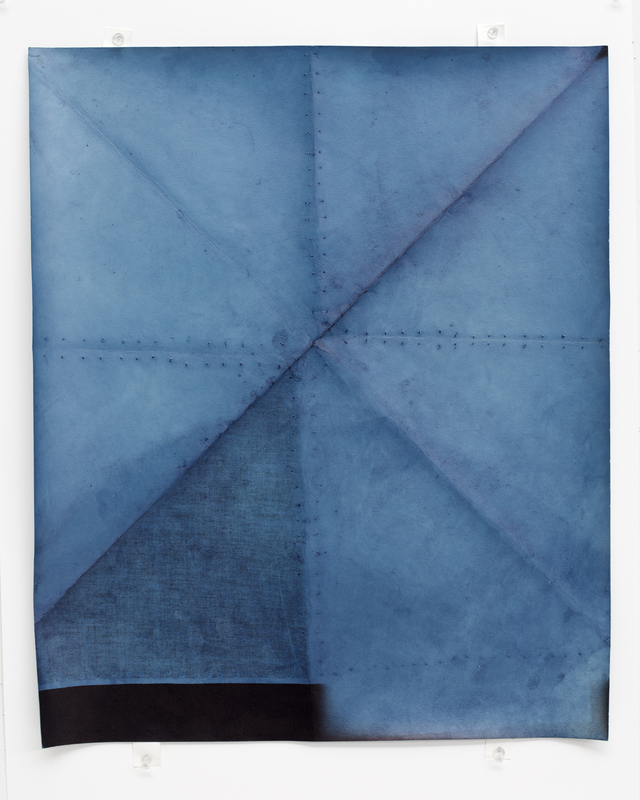 Image specs: Bandanna (Indigo), Gelatin Silver Print with indigo dye, 20x24in, 2016.